We're proud to welcome one of New York City's most exciting music festivals, Winter Jazzfest, back to the New School. Through a partnership with the School of Jazz at the New School, Winter Jazzfest artists will perform in three venues across campus, featuring dozens of acts (and hundreds of musicians) over two nights of non-stop performances during the WJF Marathon: Friday January 12th and Saturday January 13th. 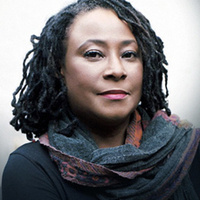 In addition, on Monday, January 15th, Martin Luther King's Birthday, the festival will honor the memory of the late pianist-composer-educator and innovator, Geri Allen, who passed in June 2017, weeks after celebrating her 60th birthday. Allen's close collaborator and friend, Terri Lyne Carrington organized musicians in tribute to this saddening loss for the community. "The jazz community will never be the same with the loss of one of our geniuses, Geri Allen. Her virtuosity and musicality are unparalleled," said Carrington upon learning of her passing. "I will miss my sister and friend, but I am thankful for all of the music she made and all of the incredible experiences we had together for over 35 years. She is a true original -- one of a kind -- never to be forgotten. My heart mourns, but my spirit is filled with the gift of having known and learned from Geri Allen." Thus far, confirmed participants include Angela Davis, S. Epatha Merkerson, Esperanza Spalding, Dee Dee Bridgewater, Farah Jasmine Griffin, Jack DeJohnette, Terri Lyne Carrington, Jeff 'Tain' Watts, Ravi Coltrane, Vijay Iyer, Mino Cinelu, Linda May Han Oh, Jaimeo Brown, Ingrid Jensen, Tia Fuller, Kris Davis, Kassa Overall, and Maurice Chestnut. Additional artists will be announced shortly. *All proceeds from Monday's concert will go to the Geri Allen Estate. As a world-class training ground for musicians for thirty years, the School of Jazz at the New School is a natural partner for Winter Jazzfest, as evidenced by the presence of dozens of alumni and faculty in this year's lineup.